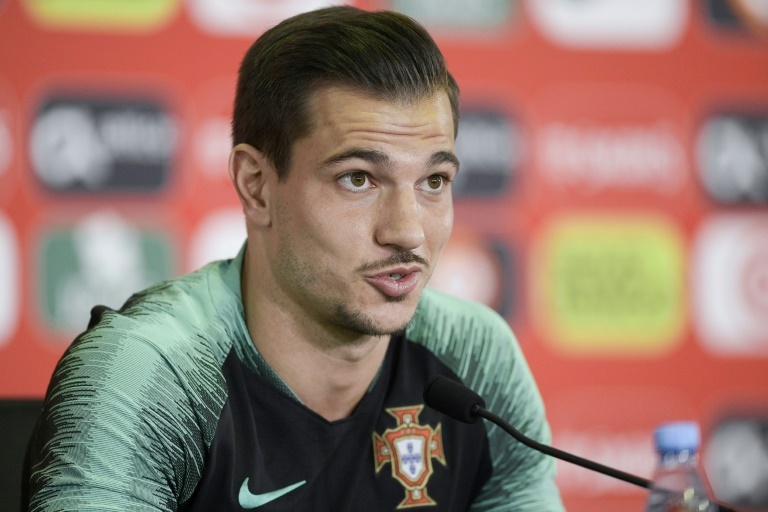 Portugal defender Cedric Soares said the European champions are more concerned about results than style ahead of a last-16 clash against Uruguay at the World Cup. Portugal will return to Sochi, the site of their thrilling 3-3 group stage draw with Spain, on Saturday to face a Uruguay side featuring Luis Suarez and Edinson Cavani. Uruguay are the only team yet to concede at the tournament, while Portugal have relied heavily on Cristiano Ronaldo -- the Real Madrid star has scored all but one of Portugal's five goals. "The most important thing is to win and our objective is to win every game," Cedric said on Wednesday. "Every team has its own strategy and we have ours. No matter if the game is spectacular or not our number one goal for now is to beat Uruguay." Portugal looked on course for a meeting with hosts Russia before a dramatic late flurry of events in the final round of games in Group B on Monday. Cedric was harshly penalised for handball as Iran converted a late spot-kick in a 1-1 draw, while Spain grabbed a late equaliser against Morocco to finish ahead of Portugal on goals scored. "The World Cup is difficult for teams, and until now our goal was to get to the knockouts, which we did," said the Southampton defender. "We dominated Iran, we achieved our goal. The next game is going to be difficult but we are European champions and have proved our quality in the past." "We know (Uruguay) haven't lost a single game in 2018," he added. "We know many of their players very well, they have very strong players." Asked about the penalty incident against Iran, awarded following consultation with the video assistant referee (VAR), Cedric was reluctant to get drawn into a debate. "I think that it is a decision by FIFA and we cannot comment on this. "We are worried about our work and trying to work on what we can do, but we should not look at what we can't change."